A dental guru, a 24 hour emergency dentist,can definitely be trusted with whatever dental problem, at whatever time of the day. They have the mental and physical capacity to deal with all forms of issues that could be linked to overall oral hygiene and health.A few of the 24 hour emergency dentists also deal with sleep apnea and migraines, providing a permanent fix for both. Over 125,000 people reside in the county of Hartford, which is a diverse city when it comes to culture, business, and even education. Founded during the 1600s, this area was once referred to as the “House of Hope” by traders who stumbled across it. Also a great place to practice some good golf, Hartford has its share of dentists, each better than the last. If you wish to get your tooth issue handled by someone who has been practicing since the 1990s, call at 860 881 2997. Dedicated to creating perfect smiles, Bryan Wilson and his team understand the different dental problems faced by patients, tackling each one with immense care and patience. Their website contains several testimonials from old patients, each of whom are content with the service they received. Bryan Wilson’s clinic is open on Mondays and Tuesdays from 8.00 a.m. to 5.00 p.m., on Wednesdays, the clinic could be found open from 1.00 p.m. to 8.00 p.m., and on Thursdays, one can see Dr. Wilson at any time between 8.00 a.m. to 2.00 p.m. Whoever wishes to book a meeting on Fridays would need to call up the center and place an appointment first. Open on all days of the week, the iSmile Dentistry team is up for tackling all sorts of emergencies, regardless of the time. This is helpful, especially if an individual has something stuck between their teeth or faces a tooth-knockout at an odd time. 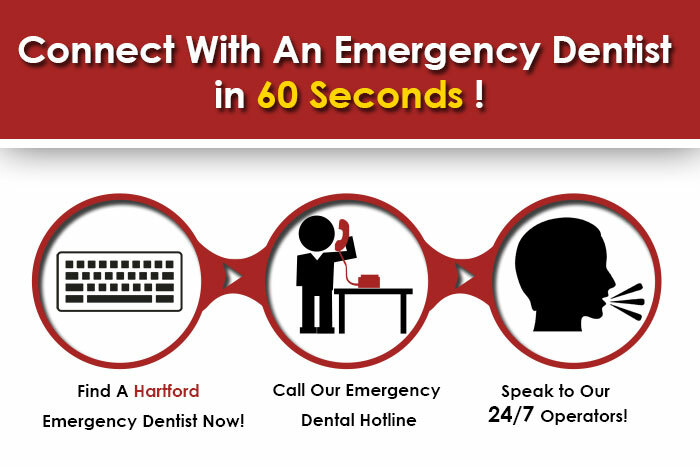 If a patient finds themselves in a dental trouble, all they need to do is call at 860 216 3585. The clinic is open from Mondays to Saturdays from 9.00 a.m. to 6.00 p.m.Offering several special packages that ensure the well-being of the entire family’s teeth, the iSmile Dentistry group will be your best friend when it comes to overcoming your fear of dental clinics. An amazing dental team that sells top-quality dental products, such as dental care kits and tongue scrapers, Hartford Dental Group is open on all days of the week, except on Sundays. From Mondays to Thursdays, one could book a meeting at any time between 8.00 a.m. to 6.00 p.m. On Fridays, it is possible to get an appointment at any time between 8.00 a.m. to 5.00 p.m. Saturday, however, has a time frame of 5 office hours, from 8.00 a.m. to 1.00 p.m.